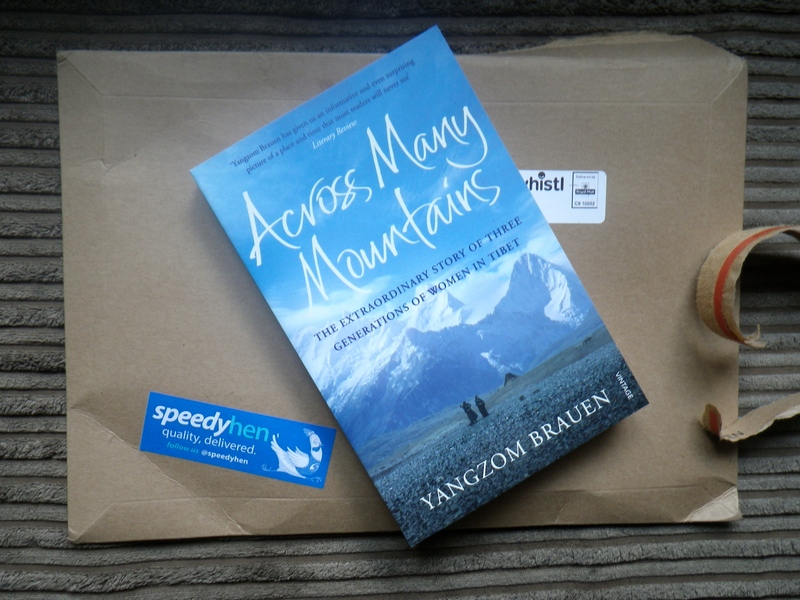 I was excited to receive my copy of ‘Across Many Mountains’ in the post this weekend which is the second title selected by our newly formed Book Group. A member of the group had travelled in India many years before and, whilst working with Tibetan refugee children, had heard about this story of three generations of Tibetan women and their exile from their homeland and had put it forward as a suggestion for our chosen category of autobiography or biography. In recent years I have been an avid kindle reader but found my first foray into Book Group’s ‘Us’ by David Nicolls frustrating as I was unable to mark passages of particular interest and flipping backwards and forwards is always rather time consuming. So, this time round I decided to revert to a ‘proper’ book and am now faced with the tricky decision of which silk bookmark to choose….